Digital fence tester and Battery tester in one. The measurement range of the fence voltmeter is between 1000 and 12.000 Volts. And shows voltage in kV. 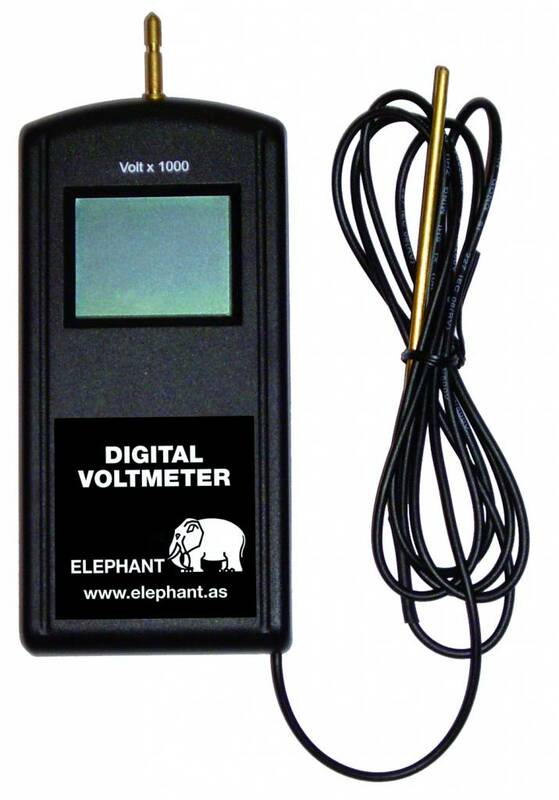 Voltage pulses over 12.000 Volts are indicated with “HI"
This digital voltmeter can also test battery voltage. The measurement range is between 6 and 19,9 Volts. The voltmeter is switching itself on and off when testing the battery. All required test probes and a soft case are included. This device is powered by one 9V battery (not included).